Let's face it, your iPhone is probably pretty much attached to you. Consequently, all our iPhone repairs are carried out in store and most on a same day basis. Since we carry extensive stock you should not have long to wait, but with with so many models, a specific part may need to be ordered. Some of the more common repairs we carry out are listed below. However, if you already know the problem, such as liquid damage, bring in your iPhone without delay for a free, over the counter assessment. 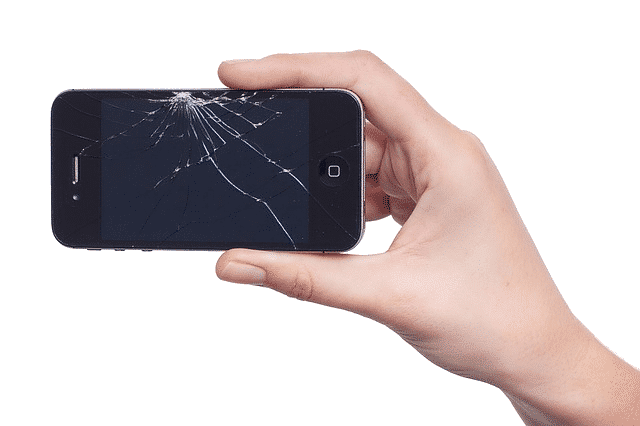 Broken LCD or touch screen - Because they're small and slippery, it's almost inevitable that this will happen at some time. New iPhone screen time. Faulty home button - Whether you have a sticky or non responsive home button, we are here to help. Liquid damage - Dropped down the toilet or soaked in beer? We've seen them all. First we'll start with a pro clean in an ultrasonic bath and attempt to bring it back to life. Broken charging port- If there is no power, we'll try a new cable and charger in store. If this is unsuccessful you may need a socket repair or replacement. Battery replacement - A dying or faulty battery can cause multiple problems but can also be dangerous and a major fire risk. A replacement will need workshop attention to fit a new one. WiFi Issues - If it seems like your WiFi connection is fading away, this maybe due to an internal wireless antenna fault. Faulty Camera - Often damaged at the same time as a smashed screen - front or back cameras can be replaced. Software issues - If the display just shows an Apple logo or it cant fully load up, it may be software corruption that can be resolved in the workshop. When a fault occurs, you have liquid damage or you need a new iPhone screen, just bring in your device for assessment. Alternatively, fill in the contact form or speak to one of our experienced technicians. Because we have been in business for over 20 years and a Which? Trusted Trader, you can be confident in our iPhone repairs service. We look forward to speaking to you soon.